Did You Choose Your Word For 2017? Do you have one word to guide you and your life and/or business this year? if not do you think you will? I find the process helpful. In the video below I show you the process I used to choose my word for the year or I let the word choose me. This year I have one main word Trust and four supportive words. I will see how that goes. 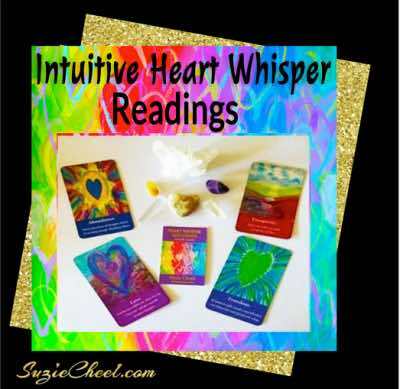 As I explain in the video I used my Heart Whisper Oracle Cards to choose my word for the year. Abundance will flow when you trust in you and act on who you truly are here to be and to serve. Spread your wings and step into your truth. It’s time to believe, to be true to you and really step into your power. You know that space where love just is. You know you are enough and there is a peace within that allows you to know you can. Step into that space NOW and feel the abundance of the moment. Calm comes when you let go of the struggle, listen to and trust the whispers of your heart. I would love to read what your word is for the year and how you chose it. Why did you chose it and how will it make you shine in 2017? Get your word for the year in a digital and/or painted image. please contact me or leave a comment below. Love your marketing strategy to brand our word. The word that comes to mind is “focus”. I love all the great ideas that come to mind that can send me off in all directions. So, I think focus is a good choice to keep me on track this year. My 2017 word is teamwork. I’m going to be leading a large project this year and I need to build trust and support across all the people and elements of the project. Teamwork is a big word, requiring humor and humility and insight from the bottom up and top down. kimba recently posted…Hon, Do We Have Any Mustard? I worked with Ease and Fruition in 2016. This year I feel very called to have Service as a key word for what I want to do in the world, but I just came across a process that Chris Brogan uses and he strongly suggests 3 words for very specific reasons. I am going to sit with your idea, Suzie and also other ideas to come up with 3 words that both stand independently, but also work together harmoniously. We’ll see where it leads me, as 2016 was not exactly about ease or fruition. However, it was a 9 year, a completion year so perhaps that is what I did. As 2017 is a 1 year in a new 9 year cycle, it really offers us new beginnings and a chance to create a new! This year my word is HOPE because off all the uncertainty and negativity facing the world. We still have to have HOPE that there are good people out there. This year my word is Ease / Easy. If it’s not easy I’m not doing it. It’s bringing a ton of change. Great topic, Suzie! My word/intention/theme for 2017 is ALIGNMENT. Wonderful as always Suzie! Personally, I prefer to work with themes but the intention is the same, to remain focused on our goals and dreams. I’ve used this strategy for the past 3 years so I’m a big believer, but of course as you have said many times yourself, a strategy is only as good as the actions we take. I’ve known many more people who invested way more energy in picking a word than ever doing anything with it so it’s important that we keep in mind your word a tool, not the game plan. My word this year is Integrate with the byline – Abundance & Prosperity with Creative Magic. Let’s see how 2017 works out as a powerful number 1 year. My word for now is clarity. I’d like to start 2017 with a clear direction. The clearer I am, the more focused results I get. Suzie Cheel recently posted…Did You Choose Your Word For 2017? Suzie, Love your process of choosing your word for the year. My Mantra or words for this year is CARPE DIEM 🙂 Every year I choose just one word. But this year seems very expansive for me on a personal and business sense. Lots of internal breakthroughs happened as the year changed. Hence Carpe Diem. I’m in full mode to Seize this year and make it my year to FLY. No limits. Loved your video and I have been using one word yearly themes for quite some time. My 2017 word is expression as I am ready to express my authentic self through my writing, video and by starting a blog. This is my year to truly express myself and my creativity. My words for 2017: Showing up with my Divine guidance. My word for 2017 is Authentic. I will live my life authentically and that will carry over into my work, my passions and my relationships. I really liked Suzie how you went deeper and discovered your real words. Thank you for sharing. My words are Divine Intervention. It had been my theme for the clients’ work that I do (many miracles happen for my clients once they start opening up to possibilities) and I realized that it works for me too. As I decided to embrace these words for myself I am witnessing miracles all the time. Very much like you Suzie, I TRUST. I chose “NOW” to motivate me to stop procrastinating. But I am also inclined to choose SUNSHINE to remember to spend more time outdoors. 🙂 There are so many great words, Suzie! I have two words, Suzie: Prospering Exxxxxpansion! Last year it was”Passionate, Prospering Partnerships in Sacred Service” or P3 + S2. I was invited to be a part of 6 anthologies; I happily accepted and 4 were published last year with two coming out this Spring. I can’t wait to see what unfolds from the Universe with these TWO, NEW WORDS! Appreciating your beautiful words, “…You know that space where love just is. Step into that space NOW and fell the abundance of the moment.” xo Hugs to you! Thank you for suggesting this idea, Suzie. I like it. The single word for the coming year that just automatically popped into my mind is “growth.” Feels right. I love the FOCUS acronym. I hadn’t heard that one before. I haven’t decided on my word for the year yet, Suzie. “Presence” is a strong possibility, however I also want to convey a sense of embodiment. And, I had a Tarot reading done, which suggested some other words like “hone” and “fluctuate.” I love how you have a main word as well as supporting words. That may be the perfect way for me to go too. I feel like focus is the right word for me this year. Thanks for the reminder to pick word for the year, I think that is so helpful. So great that you make art objects for the words. You are so creative, Suzie. Have a great new year!